Those recovering from a stroke often face an uphill battle. Rehabilitation typically requires executing continuous, repetitive movements, which can be extremely frustrating and monotonous for the patient. One company is hoping to change that by incorporating virtual reality-based physical and cognitive exercise games into stroke rehabilitation programs. The neurotechnology company MindMaze has introduced MindMotion PRO, a 3D virtual environment therapy for upper limb neurorehabilitation for victims of stroke. As early as one to six weeks post stroke, patients can use this technology to complete customized interactive exercises in a virtual reality environment. The exercises are designed to stimulate the specific area of the brain damaged by the stroke. These training games engage 3D motion tracking cameras, which capture and map patient movements onto 3D avatars in different exercises of the patient’s shoulder, elbow, forearm, and wrist movements. MindMotion is designed for patients starting in the earliest stage of recovery and can be used from a hospital bed if needed. The technology received FDA clearance in May and is in the process of launching its first U.S. study, which will be based at University of California, San Francisco. The study is expected to launch in fall 2017. So far, patient responses have been extremely positive, said Andrea Serino, Ph.D., the head of neuroscience at MindMaze. In addition to making rehabilitation more enjoyable for the patients, virtual reality also has the potential to improve rehabilitation outcomes compared to traditional exercise-based therapies. By using an avatar in a virtual reality environment, healthcare professionals can directly stimulate not only the body of the patient, but their brain. Patients that have no mobility on one side of the body can enter a virtual reality environment and participate in games that require them to move only their working arm. At the same time, their avatar can move the opposite arm, activating the areas that correspond to the damaged part of their cortex. There is also potential to pair this type of virtual reality technology with robotics technologies that could physically move a paralyzed limb during this exercise. Utilizing virtual reality for stroke rehabilitation also has benefits for the clinicians that work with these patients. Intensive, repetitive movements continued over a long duration have proven to be the best way for a patient to recover from a stroke. However, this type of treatment requires significant supervision and effort from medical personal. A virtual reality machine can guide the patient in these repetitive exercises, allowing them to train more often and with increased intensity, while requiring a lower level of supervision and assistance. In addition, the machine monitors each patient’s progress, allowing healthcare providers to track and update their treatment regimen more specifically. MindMaze is working to expand their MindMotion offerings for stroke rehabilitation virtual reality technology. In addition to MindMotion Pro, MindMaze has already developed MindMotion Go, which was created for patients in the later phases of stroke recovery. This is meant to be used in clinics and incorporates more “gamified” types of exercise. There is also potential to branch out into other neurological diseases, although Serino said MindMaze wants to focus their resources on providing care to stroke patients first. However, he sees future applications for this technology for patients with multiple sclerosis, Parkinson’s disease, or those with dementia and mild cognitive impairment. He also sees potential for these devices to be used in children suffering from attention challenges or other cognitive challenges. As virtual reality continues to take off within healthcare, and specifically within the neurological space, it is important that new technologies are designed with thought and care to the specific disease they are treating, said Serino. Virtual-reality based rehabilitation (VR) shows potential as an engaging and effective way to improve upper-limb function and cognitive abilities following a stroke. However, an updated synthesis of the literature is needed to capture growth in recent research and address gaps in our understanding of factors that may optimize training parameters and treatment effects. Published randomized controlled trials comparing VR to conventional therapy were retrieved from seven electronic databases. Treatment effects (Hedge’s g) were estimated using a random effects model, with motor and functional outcomes between different protocols compared at the Body Structure/Function, Activity, and Participation levels of the International Classification of Functioning. Thirty-three studies were identified, including 971 participants (492 VR participants). VR produced small to medium overall effects (g = 0.46; 95% CI: 0.33–0.59, p < 0.01), above and beyond conventional therapies. Small to medium effects were observed on Body Structure/Function (g = 0.41; 95% CI: 0.28–0.55; p < 0.01) and Activityoutcomes (g = 0.47; 95% CI: 0.34–0.60, p < 0.01), while Participationoutcomes failed to reach significance (g = 0.38; 95% CI: -0.29-1.04, p = 0.27). Superior benefits for Body Structure/Function (g = 0.56) and Activity outcomes (g = 0.62) were observed when examining outcomes only from purpose-designed VR systems. Preliminary results (k = 4) suggested small to medium effects for cognitive outcomes (g = 0.41; 95% CI: 0.28–0.55; p < 0.01). Moderator analysis found no advantage for higher doses of VR, massed practice training schedules, or greater time since injury. VR can effect significant gains on Body Structure/Function and Activity level outcomes, including improvements in cognitive function, for individuals who have sustained a stroke. The evidence supports the use of VR as an adjunct for stroke rehabilitation, with effectiveness evident for a variety of platforms, training parameters, and stages of recovery. [Abstract] An intelligent, adaptive, performance-sensitive, and virtual reality-based gaming platform for the upper limb. Stroke is a leading cause of adult disability, characterized by a spectrum of muscle weakness and movement abnormalities related to the upper limb. About 80% of individuals who had a stroke suffer from upper limb dysfunction. Conventional rehabilitation aims to improve one’s ability to use paralyzed limbs through repetitive exercise under one-on-one supervision by physiotherapists. This poses difficulty given the limited availability of healthcare resources and the high cost of availing specialized services at healthcare centers, particularly in developing countries like India. Thus, the design of cost-effective, home-based, and technology-assisted individualized rehabilitation platform that can deliver real-time feedback on one’s skill progress is critical. This paper describes the design of a novel, multimodal, virtual reality (VR)-based, and performance-sensitive exercise platform that can intelligently adapt its task presentation to one’s performance. Here, we aim to address unilateral shoulder abduction and adduction that are essential for the performance of daily living activities. We designed an experimental study in which six individuals who had chronic stroke (post-stroke period: >6 months) participated. While they interacted with our VR-based tasks, we recorded their physiological signals in a synchronized manner. Preliminary results indicate the potential of our VR-based, adaptive individualized system in the performance of individuals who had a stroke suffering from upper limb movement disorders. In the Human Verifiable Computing project, VTT used augmented and virtual reality to develop solutions for building trust between people and systems and facilitating the verification of information security. This is a vital aspect of the digital future, in which interaction between people and computers will be an effortless part of everyday life. “Augmented and virtual reality technologies let us make fuller use of our senses and enable the constant mutual evaluation of reliability between humans and machines,” says Senior Scientist Kimmo Halunen of VTT. The project demonstrated functionalities involving computing verified with human senses. For example, augmented reality was utilized to distribute single-use passwords, which could then be used through voice recognition. Augmented reality was also utilized to give multisensory feedback by showing visual instructions to a maintenance worker who turns a valve and receives an error message if the valve is operated incorrectly. The message can be implemented as an interactive image and also presented through audio on the user’s smart glasses. In addition, haptic feedback can be provided by making the user’s smart watch or other mobile device vibrate. extremity rehabilitation on functional performance in chronic stroke survivors. structured questionnaire and a semi-structured interview. functional improvements to our study participants. Stroke is the leading cause of long-term adult disability in the United States . long-term upper-limb outcomes after stroke. Affordable 3D cameras, mixed reality headsets, and 3D displays have recently pushed the Augmented Reality (AR) and Virtual Reality (VR) technologies into the consumer market. While these technologies have been adopted in video-game and entertainment industry, the adoption for professional use, such as in industrial and business environment, health-care, and education is still lagging behind. In light of recent advances in mobile communications, AR/VR could pave the way for novel interaction and collaboration of geographically distributed users. Despite the technology being available, majority of communication is still accomplished using traditional video conferencing technology which lacks interactivity, depth perception, and ability to convey non-verbal cues in communication. 3D systems for communication have been proposed to overcome these limitations; however, very few studies looked into the performance and interaction with such technologies. In this paper, we report on a study that examined telecollaboration scenario with three different modalities: 2D video-conferencing, 3D stereoscopic interface, and 3D stereoscopic interface with augmented visual feedback. Twenty participants worked in pairs, assuming the roles of instructor and worker, to remotely interact and perform a set of assembly tasks. Fifty percent of all stroke survivors remain with functional impairments of their upper limb. While there is a need to improve the effectiveness of rehabilitative training, so far no new training approach has proven to be clearly superior to conventional therapy. As training with rewarding feedback has been shown to improve motor learning in humans, it is hypothesized that rehabilitative arm training could be enhanced by rewarding feedback. In this paper, we propose a trial protocol investigating rewards in the form of performance feedback and monetary gains as ways to improve effectiveness of rehabilitative training. This multicentric, assessor-blinded, randomized controlled trial uses the ArmeoSenso virtual reality rehabilitation system to train 74 first-ever stroke patients (< 100 days post stroke) to lift their impaired upper limb against gravity and to improve the workspace of the paretic arm. Three sensors are attached to forearm, upper arm, and trunk to track arm movements in three-dimensional space while controlling for trunk compensation. Whole-arm movements serve as input for a therapy game. The reward group (n = 37) will train with performance feedback and contingent monetary reward. The control group (n = 37) uses the same system but without monetary reward and with reduced performance feedback. Primary outcome is the change in the hand workspace in the transversal plane. Standard clinical assessments are used as secondary outcome measures. This randomized controlled trial will be the first to directly evaluate the effect of rewarding feedback, including monetary rewards, on the recovery process of the upper limb following stroke. This could pave the way for novel types of interventions with significantly improved treatment benefits, e.g., for conditions that impair reward processing (stroke, Parkinson’s disease). After stroke, 50% of survivors are left with impairments in arm function [1, 2], which is associated with reduced health-related quality of life . While there is evidence for a positive correlation between therapy dose and functional recovery [4, 5, 6], a higher therapy dose is challenging to implement, as it usually leads to an increase in costs commonly not covered by health insurances. However, when dose is matched, most randomized controlled trials introducing new types of rehabilitative interventions (e.g., robot-assisted therapy ) failed to show a superior effect compared to standard therapy. Thus, the need for improving therapy effectiveness remains. In search for elements of effective therapy, we hypothesize that performance feedback and monetary rewards can improve effectiveness. It has been shown that reward enhances procedural  and motor-skill learning [9, 10] and has a positive effect on motor adaptation . Rewards mainly improve retention of motor skills and motor adaptations [9, 10, 11]. This effect was not explained by training duration (dose) as rewarded and non-rewarded groups underwent similar training schedules [8, 9, 10, 11]. In a functional magnetic resonance imaging (fMRI) study, Widmer et al. reported that adding monetary rewards after good performance leads to better consolidation and higher ventral striatum activation than knowledge of performance alone . The striatum is a key locus of reward processing , and its activity was shown to be increased by both intrinsic and extrinsic reward . Being a brain structure that receives substantial dopaminergic input from the midbrain, ventral striatal activity can be seen as a surrogate marker for dopaminergic activity in the substantia nigra/ventral tegmental area . In rodents, Hosp et al. found that dopaminergic projections from the midbrain also terminate directly in the primary motor cortex (M1) . Dopamine in M1 is necessary for long-term potentiation of certain cortico-cortical connections and successful motor-skill learning . As mechanisms of motor learning are also thought to play a role in motor recovery , rehabilitative interventions may benefit from neuroplasticity enhanced by reward. Background: Worldwide, there has been a marked increase in stress and anxiety, also among patients with traumatic brain injury (TBI). Access to psychology services is limited, with some estimates suggesting that over 50% of sufferers are not accessing the existing services available to them for reasons such as inconvenience, embarrassment, or stigmatization concerns around mental health. Health service providers have increasingly been turning to drug-free therapies, such as mindfulness programs, as complementary treatments. Objective: Virtual reality (VR) as a new delivery method for meditation-based stress and anxiety reduction therapy offers configurable environments and privacy protection. Our objective was to design a serious learning-meditation environment and to test the feasibility of the developed telemindfulness approach based on cloud technologies. Methods: We developed a cloud-based system, which consisted of a Web interface for the mindfulness instructor and remote clients, who had 3D VR headsets. The mindfulness instructor could communicate over the Web interface with the participants using the headset. Additionally, the Web app enabled group sessions in virtual rooms, 360-degree videos, and real interactions or standalone meditation. The mindfulness program was designed as an 8-week Mindfulness-Based Stress Reduction course specifically for the developed virtual environments. The program was tested with four employees and four patients with TBI. The effects were measured with psychometric tests, the Mindful Attention Awareness Scale (MAAS) and the Satisfaction With Life Scale (SWLS). Patients also carried out the Mini-Mental State Examination (MMSE). An additional objective evaluation has also been carried out by tracking head motion. Additionally, the power spectrum analyses of similar tasks between sessions were tested. Results: The patients achieved a higher level of life satisfaction during the study (SWLS: mean 23.0, SD 1.8 vs mean 18.3, SD 3.9) and a slight increase of the MAAS score (mean 3.4, SD 0.6 vs mean 3.3, SD 0.4). Particular insight into the MAAS items revealed that one patient had a lower MAAS score (mean 2.3). Employees showed high MAAS scores (mean 4.3, SD 0.7) and although their SWLS dropped to mean 26, their SWLS was still high (mean 27.3, SD 2.8). The power spectrum showed that the employees had a considerable reduction in high-frequency movements less than 0.34 Hz, particularly with the 360-degree video. As expected, the patients demonstrated a gradual decrease of high-frequency movements while sitting during the mindfulness practices in the virtual environment. Conclusions: With such a small sample size, it is too early to make any specific conclusions, but the presented results may accelerate the use of innovative technologies and challenge new ideas in research and development in the field of mindfulness/telemindfulness. Attention impairment has often been considered a hallmark of mental illness. Attention training is an important part of meditation, and has proven to augment the ability to sustain attention . Mindfulness as a meditation tool has an important role in psychology, self-awareness, and well-being. The authors Brown and Ryan  reported that mindfulness over time was related to a reduction in variable mood and stress in patients with cancer. Mindfulness is an internationally recognized therapy that teaches self-awareness, maintaining own thoughts, sensations, feelings, emotions, and appreciation of your living environment . The mindfulness meditation technique may help patients manage potentially negative outcomes and improve well-being by controlling unselfconsciousness (thoughts on failure). Avoiding problems associated with the future, focusing on the present, being “now,” and controlling the tracking of time may, in addition to well-being, lead to mindfulness. A person who can achieve such an active and open attention state can control thoughts from a distance, free to judge whether they are good or not . In this context, mindfulness can also be considered an important tool for managing anxiety and stress in patients . Kabat-Zinn  designed an 8-week meditation course, Mindfulness-Based Stress Reduction, which provides 2 hours of meditation in a group with additional homework. Mindfulness-Based Stress Reduction has demonstrated that awareness of the mind, unconscious thoughts, feelings, and other emotions positively affect major physiological processes and thus decreases the level of stress-related disorders [4–6]. Anxiety and stress disorders can be related to pressure at work, incurable diseases, or neuromuscular disorders, such as Parkinson disease, light traumatic brain injury (TBI), multiple sclerosis, or other diseases of the muscular or central nervous system. Deficits in executive functions, memory, and learning are often documented after TBI. In addition, at least half of those suffering from TBI experience chronic pain and/or sleep disorders, depression, and substance abuse . A review of the literature shows that neural systems are modifiable networks and changes in the neural structure can occur in adults as a result of training . The study reported on anatomical magnetic resonance imaging (MRI) images from 16 healthy meditation-naïve participants who underwent the 8-week mindfulness program . The results obtained before and after the program suggested that participation in a Mindfulness-Based Stress Reduction course was associated with changes in gray matter concentration in the regions of the brain involved in learning and memory processes, emotion regulation, self-referential processing, and perspective taking. Early rehabilitation in the acute and subacute phase may be a critical period and a key to effective rehabilitation, especially in TBI . A significant drawback is that patients often stay in hospital for a limited time and are soon discharged for recovery at home. Afterward they can visit an outpatients’ clinic. Patients residing close may find the outpatient service convenient, but it could be very inconvenient for those who are in need of ongoing care, are dependent on public transport, or in the worst case do not have access to transport at all. Consequently, external factors such as travel fatigue may hinder the effectiveness of the therapy and, in some, may even increase anxiety and stress. In addition, modern diseases caused by stress and anxiety in the workplace are on the increase, but access to treatment and therapy is usually not possible during working hours . Innovative technologies can ensure real-time communication and data recording/sharing over long distances, even within larger groups of participants . Nowadays, privacy, data security, shyness, and pride are among the most frequent reasons to avoid therapy if a mental disease or neuromuscular disorder is related to work or social status . Some patients prefer to remain anonymous and do not want to reveal their problems, even to colleagues. The sense of “total immersion” created by virtual reality (VR) is an emerging technology that may entirely replace mainstream videoconferencing techniques . These technologies may fulfill patient expectations  regarding anonymity and enhance presence . Patients can hide their identify using an avatar and their voices can be disguised. Psychologists and other experts may observe the kinematic changes in motion patterns, gestures, face mimics, and other measurable features . If there is a group, the VR avatars can be synchronized and controlled in real time, using cloud-based technologies. The operator can form groups, deliver individual or group tasks, or lead a private conversation with selected participants. We have developed a technology that is available for home and workplace use, called Realizing Collaborative Virtual Reality for Well-being and Self-Healing (ReCoVR), for which the VR headset is coupled with a mobile phone. The only requirement is a connection to Wi-Fi/4G Internet, plus communication with the cloud server allows remote interaction with other users residing thousands of miles away. Figure 1. The ReCoVR system consists of a cloud server, serving information for the WebGL scenery and synchronization of the data (audio, video, data) between the server and clients. The clients connect to the server as mindfulness experts (using a computer with Web browser) and as mindfulness therapy participants (using Samsung GearVR 3D headset with Wi-Fi/LTE). Figure 2. The mindfulness instructor uses the Web interface to manage the group therapy in the virtual room. The Web interface enables video-audio communication with the participants (below left), making subgroups, and assigning tasks (right) for mindfulness sessions. Additionally, the therapist can share documents and lead the session, while everybody can send/receive messages and talk to other group members. Virtual reality and interactive video gaming have emerged as recent treatment approaches in stroke rehabilitation with commercial gaming consoles in particular, being rapidly adopted in clinical settings. This is an update of a Cochrane Review published first in 2011 and then again in 2015. Primary objective: to determine the efficacy of virtual reality compared with an alternative intervention or no intervention on upper limb function and activity.Secondary objectives: to determine the efficacy of virtual reality compared with an alternative intervention or no intervention on: gait and balance, global motor function, cognitive function, activity limitation, participation restriction, quality of life, and adverse events. We searched the Cochrane Stroke Group Trials Register (April 2017), CENTRAL, MEDLINE, Embase, and seven additional databases. We also searched trials registries and reference lists. Randomised and quasi-randomised trials of virtual reality (“an advanced form of human-computer interface that allows the user to ‘interact’ with and become ‘immersed’ in a computer-generated environment in a naturalistic fashion”) in adults after stroke. The primary outcome of interest was upper limb function and activity. Secondary outcomes included gait and balance and global motor function. Two review authors independently selected trials based on pre-defined inclusion criteria, extracted data, and assessed risk of bias. A third review author moderated disagreements when required. The review authors contacted investigators to obtain missing information. We included 72 trials that involved 2470 participants. This review includes 35 new studies in addition to the studies included in the previous version of this review. Study sample sizes were generally small and interventions varied in terms of both the goals of treatment and the virtual reality devices used. The risk of bias present in many studies was unclear due to poor reporting. Thus, while there are a large number of randomised controlled trials, the evidence remains mostly low quality when rated using the GRADE system. Control groups usually received no intervention or therapy based on a standard-care approach. results were not statistically significant for upper limb function (standardised mean difference (SMD) 0.07, 95% confidence intervals (CI) -0.05 to 0.20, 22 studies, 1038 participants, low-quality evidence) when comparing virtual reality to conventional therapy. However, when virtual reality was used in addition to usual care (providing a higher dose of therapy for those in the intervention group) there was a statistically significant difference between groups (SMD 0.49, 0.21 to 0.77, 10 studies, 210 participants, low-quality evidence). when compared to conventional therapy approaches there were no statistically significant effects for gait speed or balance. Results were statistically significant for the activities of daily living (ADL) outcome (SMD 0.25, 95% CI 0.06 to 0.43, 10 studies, 466 participants, moderate-quality evidence); however, we were unable to pool results for cognitive function, participation restriction, or quality of life. Twenty-three studies reported that they monitored for adverse events; across these studies there were few adverse events and those reported were relatively mild. We found evidence that the use of virtual reality and interactive video gaming was not more beneficial than conventional therapy approaches in improving upper limb function. Virtual reality may be beneficial in improving upper limb function and activities of daily living function when used as an adjunct to usual care (to increase overall therapy time). 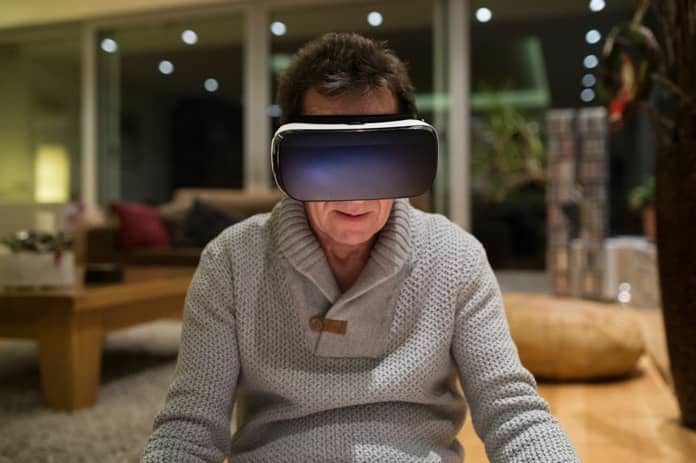 There was insufficient evidence to reach conclusions about the effect of virtual reality and interactive video gaming on gait speed, balance, participation, or quality of life. This review found that time since onset of stroke, severity of impairment, and the type of device (commercial or customised) were not strong influencers of outcome. There was a trend suggesting that higher dose (more than 15 hours of total intervention) was preferable as were customised virtual reality programs; however, these findings were not statistically significant.